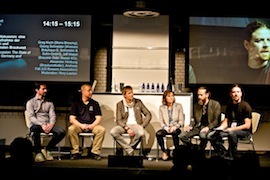 Taking place between October 6-7 at the Station in the German capital, the organisers say the show will feature lectures, tastings, master classes and podium discussions with opinion leaders from the global bar and beverage scene. About 10,000 trade visitors are expected to attend. The organisers, which now include Reed Exhibitions, says the 2015 lecture programme will be bigger than ever, with eight stages accommodating an audience of up to 1,000 people. As well as the four demo bars where brands and distributors will offer lectures, organise tastings and stage cocktail presentations, Bar Convent will present its own taste forums on the Beer Stage and on the large Mixology Stage - the main stage and centrepiece of the show. It says bar and beverage specialists from around the world will travel to what is the ninth Bar Convent. Phil Duff will speak on: “Creating Spirits – Master Distillers on how to bring new spirits to life” on the Mixology Stage on October 7, the same venue where the bar and beverage consultant will host a panel of international bar experts for a discussion of global bar trends. Bar blogger, bartender and book author, Jeffrey Morgenthaler will host a talk on: “What I’ve learned about bartending”. The organisers say this year’s Bar Convent will present insights into the beverage culture of the 2015 guest country: Brazil. Journalist and cachaça expert Felipe Januzzi, whose lecture is entitled “Mapa da Cachaça – Artisanal Cachaça explained”, is the man behind the online platform: ‘The Map of Cachaça’. He is expected to bring rare varieties of alembic cachaça to the show. Presenters from the UK will include Edgar Harden. In two tasting sessions, the spirits collector will take visitors on a journey to the world of antique spirits. Jörg Meyer from Hamburg will talk about: “How to build your first bar”. His lecture will deliver tips on how to build and market a bar. Meyer is the bartender and operator of the Hamburg bars Le Lion and Boilerman. Alex Kratena from the Artesian will provide insights into his understanding of creativity in a session entitled "Push" on Tuesday. The Artesian has held the top spot in Drinks International’s “The World’s 50 Best Bars” ranking for three years.